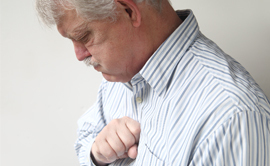 WHAT IS HIATUS HERNIA AND GASTRO-OESOPHAGEAL REFLUX? 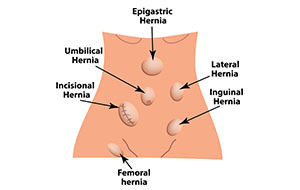 A hiatus hernia occurs when the opening or hole (hiatus) in the diaphragm, which the oesophagus usually passes through from the chest into the abdomen, enlarges part of the stomach pushes up into the chest cavity. This may be associated with gastro-oesophageal reflux. Gastro-oesophageal reflux occurs when the valve mechanism at the lower part of the oesophagus fails, allowing food and highly acidic gastric juices to regurgitate (reflux) back up the oesophagus, causing damage. This may be asymptomatic, but is often experienced as heartburn (acid reflux), and/or food or gastric content regurgitating into one's mouth (volume reflux), especially when bending over or lying flat. It is important to note that not everyone with a hiatus hernia will have reflux, and not everyone with reflux will have a hiatus hernia! 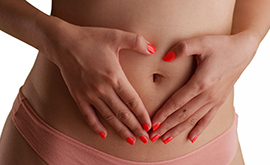 Anybody with long-standing or recurrent reflux needs to be investigated. The first investigation is usually a gastroscopy, which is done in Dr Marr’s rooms under conscious sedation. Once diagnosed, gastro-oesophageal reflux needs to be treated. If you don’t have your reflux treated, you could develop serious consequences such as precancerous conditions of the oesophagus (Barrett's oesophagus) or recurrent respiratory tract infections. HOW DO I TREAT MY REFLUX? Gastro-oesophageal reflux can be treated conservatively, or medically (tablets), or surgically, or a combination of the three. Conservative management involves avoiding foods that aggravate reflux. The usual suspects are spicy foods, chocolate, coffee, alcohol, white wheat products and rich foods. Since reflux is usually worse when lying flat, eating supper earlier helps by allowing your stomach time to empty before going to bed. Raising the head of the bed by the width of a brick also helps, since the gastric content can't flow uphill! Medical management involves taking tablets and/or suspensions. These can be very effective but often require lifelong therapy. Surgical treatment of reflux is indicated for people whose symptoms don't respond to conservative and medical management, or for people who do not want to take medications for the rest of their lives. This operation is done laparoscopically (keyhole surgery), through five small incisions. The aim is to repair the defect in the diaphragm by stitching it together and to create a new valve mechanism at the lower part of the oesophagus, by wrapping the floppy part of the stomach (fundus) around the lower oesophagus, and stitching it in place. One or two nights, depending on how you are feeling. How, what and when can I eat after surgery? Liquids and solid foods are introduced gradually. The day after surgery, you will only take in liquids. Once you are comfortable, you can start a "sloppy" diet, consisting of soup, porridge etc. Once comfortable with this you can start a soft diet, such as scrambled eggs, mashed potato, butternut etc. Once comfortable with this, you can start a normal diet. The time taken from surgery to eating normal food is usually about one month, but can be up to three months. As a result, you may well lose weight during this period, and may require food supplements such as protein shakes. Dr. Marr advises no driving or physical activity for ten days. You can usually resume light repetitive sport after a month, although this may be sooner for smaller hernias. You will need to be off work for about ten days. This varies, but you would usually require painkillers for between five and ten days after surgery.